Samsung has finally announced the official prices and launch details of the Galaxy S10 5G after previously revealing the device at the Unpacked event on February 20. Originally supposed to launch by the end of March, the Galaxy S10 with 5G support will become available in Samsung’s home market on April 5. South Korea will thus be the first country to get the Galaxy S10 5G thanks to the existing network support for this model, but Samsung plans to release the device in the United States later this year as well. No specifics have been provided on US availability. 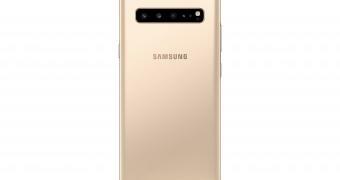 The Galaxy S10 5G will be available in three different colors, namely Majestic Black, Royal Gold, and Crown Silver. There will be two different storage options for this model, 256 GB and 512 GB.